Eugene author Miriam Gershow's stories have appeared in The Georgia Review, Quarterly West, Black Warrior Review, Nimrod International Review, Gulf Coast and elsewhere. 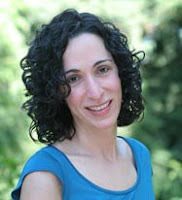 In 2006, she was awarded an Oregon Literary Fellowship, and her first novel,The Local News, will be published in February, 2009. Miriam recently answered some questions about finding an agent and selling her first novel. Paper Fort: How did you find an agent for your novel? Miriam Gershow: I found my agent for my short story collection, which I'd written previous to the novel. I'd spent five years working on the collection - writing, workshopping and revising stories. When the collection finally seemed finished, I contacted a very generous colleague at the Wisconsin Institute for Creative Writing, where I'd spent a fellowship year in 2002-2003. She'd always told me that once I was ready to send out my work, she'd supply a list of agents who'd successfully represented other fellows. I queried a couple and was lucky enough to find an amazing match with the first agent who read the collection. Five months after my initial query, she began trying to sell it. Paper Fort:How long did it take, once you'd found an agent, for the novel to find a publisher? Miriam Gershow:Well, the dramatic answer is six days. This is technically true: six days after my agent sent out the novel to publishers in December 2007, it was purchased in a pre-empt by Spiegel & Grau, a new imprint of Doubleday. The speed of that sale was mind-boggling and wonderful. However, the more complete answer includes the fact that my short story collection never sold. So there was a two-year period during which my agent was trying to sell the collection, and I was writing the novel, and my agent was assuring me that there was interest in my writing, just not necessarily in my collection. I'd been warned by many people that short story collections were notoriously hard to sell. So I had to keep the faith that the novel would be better received. While I was disappointed about the collection, I never found myself entirely disheartened, in large part because I'd fallen in love with the process of novel writing during that period. PF: What surprised you most about the process of getting the novel published? MG:Have I mentioned the six days? Other than that, I think there was surprise and adjustment in working on deadline with an editor. My editor is passionate and smart and insightful, so that was great. But working with someone else on a tight deadline was such a different process than sitting alone in front of my computer, writing according to my own whims and inspirations. I can be a quick writer, but I'm a slow reviser. I need to sit and think and be away from the work to assess the changes I've made. I didn't have that luxury when on deadline. And this forced me to stretch in ways I'd not stretched before as a writer. That was a good exercise, though I'm admittedly happy to be back alone in front my computer working at my own languid pace on a new project. PF: Can you talk a little about your process? MG: I find the best way to get started at the beginning of the day is to go back a couple pages - not a whole chapter or scene - and let myself edit the old work. If I go back too far, I can get bogged down. But with just a few pages, the editing can go relatively quickly, and by the time I'm done, I'm not only back in writing mode (as opposed to teaching mode or web surfing mode or drinking coffee on the back deck mode), but also back into the universe of the story and ready to move forward. I do have one caveat, though. On my hyper-critical days, if I go backwards, I can spend all my time tearing apart the old work rather than moving on, so I tend to skip it. PF: Do you have any advice for aspiring novelists? MG: The idea of doling out advice makes me feel a little silly, since everyone's writing process is so different. I, for example, found an MFA program indispensable to my growth as a writer. And I think a regular writing schedule is essential. And I think taking time away from your writing is equally important. But such things vary from person to person. So, in terms of a piece of universal advice, I'll steal something from one of my old teachers. When I badgered him about how he got published, he told me simply: "Good writing finds a home." That line has stuck with me since. I've found it really important to - as much as humanly possible - focus on the writing itself and not on the eventual fate of the work in the larger publishing world. The quickest way for me to quash any natural creativity or spontaneity or discovery in a new piece of work is to wonder - as I'm writing - how the world will receive it. Suddenly, I'm self-conscious and judgmental in a way that just crushes the work. So my advice is don't focus on getting published, focus on making the work good.